Fraternity brothers at the University of Pennsylvania are honoring a 21-year-old senior who died last week after what an obituary described as a lengthy battle with depression. 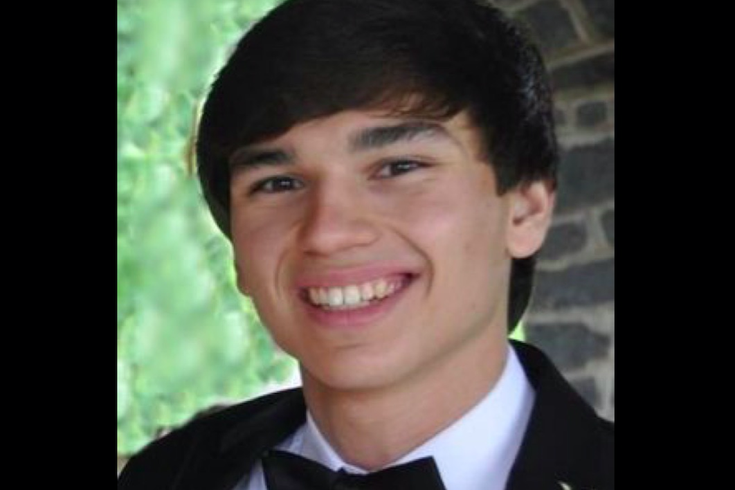 In a Facebook post Saturday, the university's Sigma Alpha Mu chapter said Nicholas Anthony Moya, a Radnor High School graduate who was studying mathematic and economics, said a funeral for Moya will be open to the public. "Nick was and always will be a beloved brother of Sigma Alpha Mu. In all that he did on Penn's campus, Nick embodied the main tenets of our brotherhood and he will be greatly missed," the fraternity wrote. Moya, a former lacrosse player, was an active member of Penn's community, serving as a tour guide for the Kite and Key Society and a data analyst for the men's basketball team. He had also volunteered with the West Philadelphia Tutoring Project and was a former president of Sigma Alpha Mu. "Nick was so much more than his titles, awards and achievements," Moya's family wrote in an obituary. "Above all else, he will be remembered for his warmth, smile, and kind heart — all taken too soon." The cause of Moya's death on Aug. 31 was not disclosed beyond a statement that he passed away "after a long battle with depression." A viewing for Moya will take place Monday, Sept. 4 from 1 p.m. to 3 p.m. at the D'Anjollel Memorial Funeral Home in Broomall. Sigma Alpha Mu also plans to hold an on-campus memorial for Moya. The family is requesting that all donations be made to the Kyle Ambrogi Foundation, a suicide prevention organization named after a former Penn football player who took his life in 2005. "Words cannot describe the warmth and promise that Nick brought to this world, nor the loss felt by those who loved him."